Offering you a complete choice of products which include feather flag, beach flags, indoor promotional flag, teardrop promotional flag, promotional flag banner and polyester flags. We are offering Feather Flag to our clients. We are offering Beach Flags to our clients. 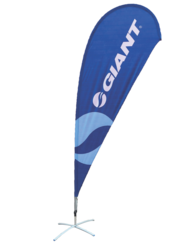 Beach Flags are premium Advertising products which allow you to promote your business with elegance and adamance. 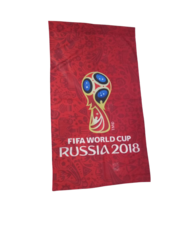 Indoor Promotional Flag comes in all shapes and has many uses. Most of these Indoor Promotional Flag come with custom printed graphics that are supplied by the customer. 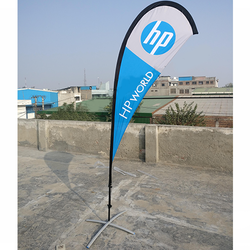 Our esteemed clients can avail a wide range of exclusive Teardrop Promotional Flag to meet up their advertising demands. We are offering these flags as per client’s specification in various sizes and shapes to satisfy their requirements. Clients can avail them at very reasonable rates. Promotional Flag is a premium advertising solution which allows you to promote your business in outdoors and indoors as well.